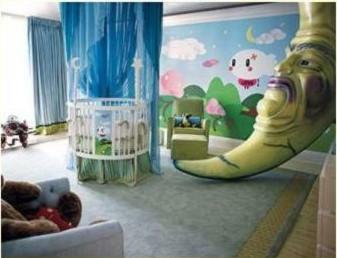 When it comes to finding ideas for decorating nursery rooms a picture is worth way more than a thousand words! It is with this in mind that I am undertaking the monumental task of creating what I hope will be one of the most comprehensive nursery picture galleries on the net. Bear with me - it may take a while. 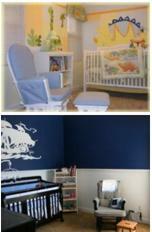 But check back often as I will be continually adding nursery pictures to this exciting part of the site! 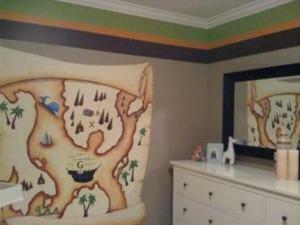 To start off with, here is a collection of nursery pictures sent in by some of my visitors. Take a look and be inspired! 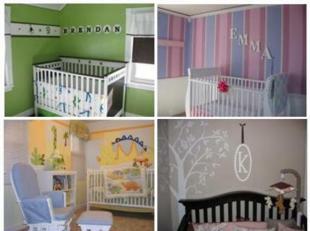 If you would like me to add your baby nursery to this gallery click here to enter our baby nursery photos contest. All 36 entries sent in to our first baby nursery pictures contest. Everything from stripes to dinosaurs. 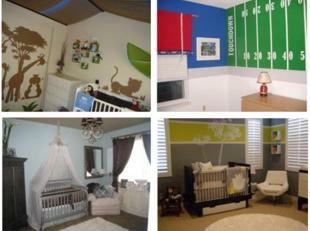 All 40 pictures of baby rooms sent in to our second nursery pictures contest. 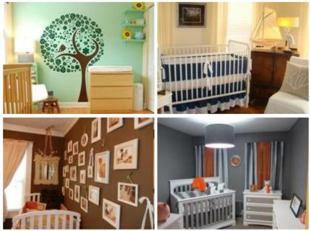 Beautiful safari nurseries, tree murals, modern blue and brown and much more. All 69 entries sent in to our third nursery pictures contest. Beautiful princess wonderlands, modern stripes, nautical creations and more. All 82 entries sent in to our fourth nursery pictures contest. Photo walls, beach nurseries, photo walls and many more. All 55 entries sent in to our fifth nursery pictures contest. Lots of owls, Dr. Seuss, trees and more. All 29 entries sent in to our sixth nursery pictures contest. All 17 entries sent in to our seventh nursery pictures contest. 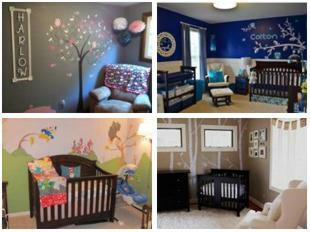 Lots of beautiful, creative nursery designs. Loads of shabby chic nursery design ideas! 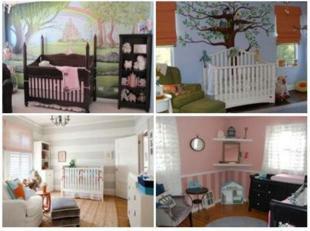 Lots of nursery photos to help you make sense of the shabby chic nursery decorating style! Ideas for vintage nursery design! 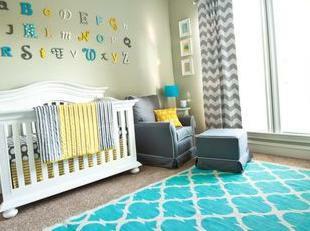 Lots of nursery pictures to inspire you to create your own nursery using vintage decor. 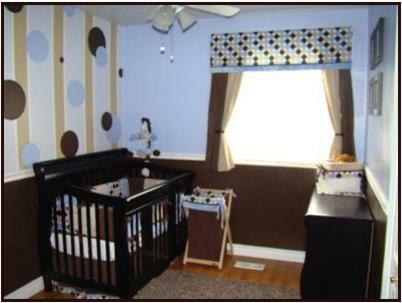 Create your own nursery designs with polka dots and circles using these nursery design ideas and pictures. 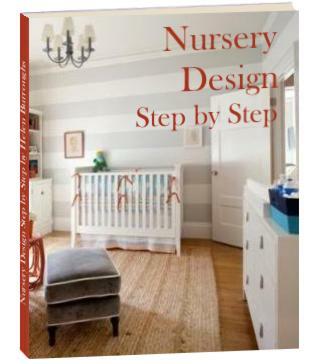 Our picture gallery of baby nursery rooms painted with checks or stripes has loads of stripey nursery decorating ideas and inspiration. Are you looking for ideas for your nursery wall borders? Come and check out our gallery of nursery border ideas. 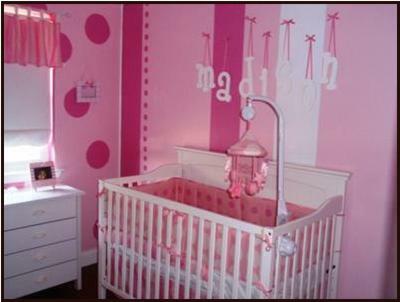 Everything from hand painted baby room borders to chair rails. 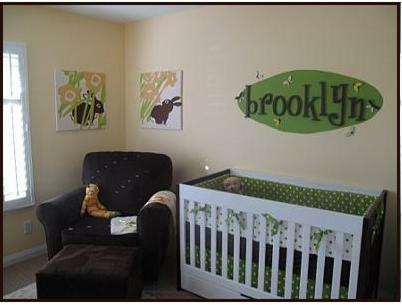 Check here for nursery pictures in the theme of your choice. Scroll down to the end of each page to see links to nursery photos for each theme. 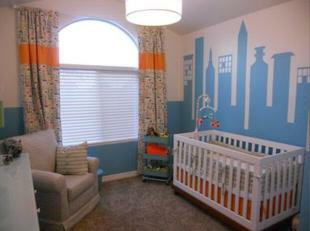 More pictures of nurseries with themes will be added on an ongoing basis!